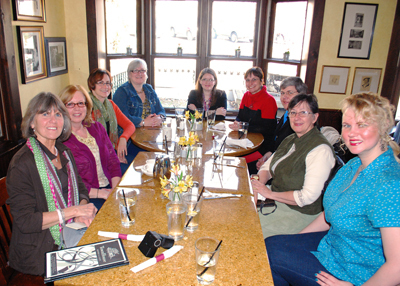 Last week we celebrated Women’s History Month at the quaint Town House Books in St. Charles. 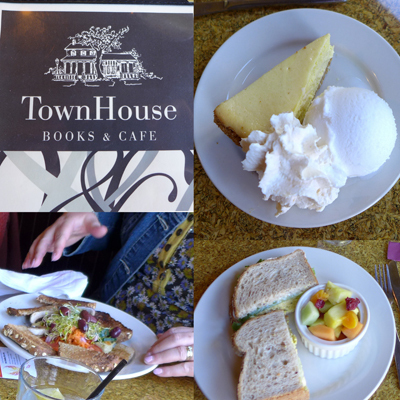 It was a sunny day and we enjoyed a healthy lunch at the Town House Books Cafe, which was merged (from Al’s Cafe and Creamery) and attached to the building in 1996. 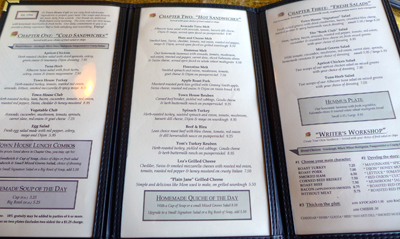 The menu is in chapter format. 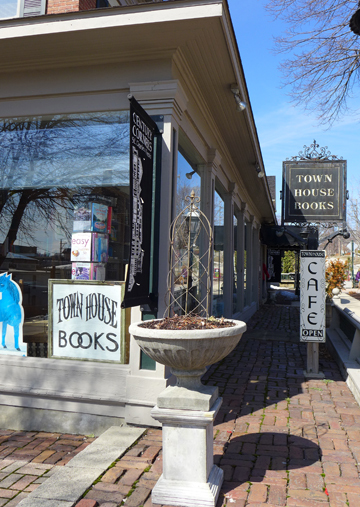 Owner David frequented this book store during his teens. Formerly the home of St. Charles’ second mayor, the Greek Revival style building was built in 1853. 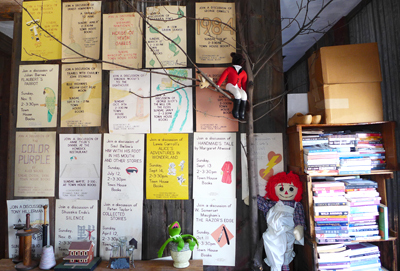 It became an antique shop and then a beauty shop, whose proprietors gave the upstairs its 70’s era decor. 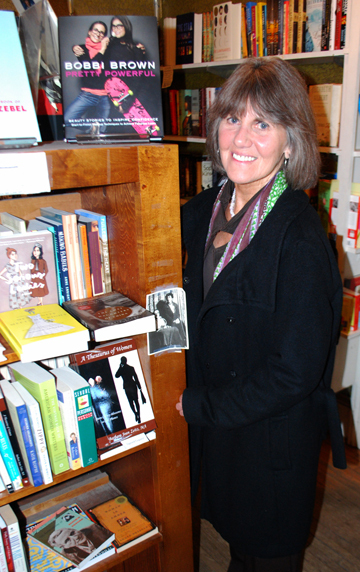 In 1974 Mary Lou Kelly opened the book store, which became David’s dream. He asked “Mrs. Kelly” if she would consider letting him take over the store if she was ever interested in retiring, and the answer was no. After some time, however, Mary reconsidered and in 1992 David took on full ownership while Mary planned to stay on for one year. 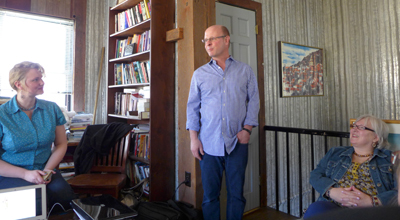 David learned everything about the book business, and over time modernized from the pain-staking paper-based inventory tracking to computerized equipment, while maintaining the traditional book store charm. Mary retired in 2013, after having reduced her hours over time. 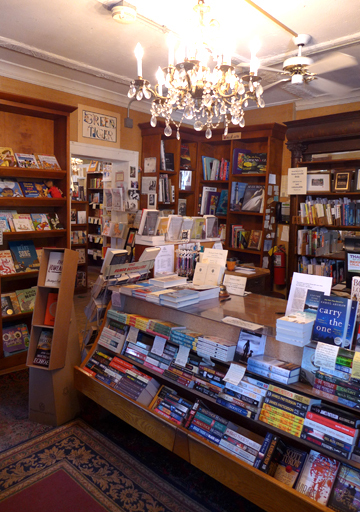 The book store was awarded 1999 “Best of the Best” by the Sunday Post Magazine. After our delicious lunch Barbara Joan Zeitz presented a fabulous program which warrants another post. 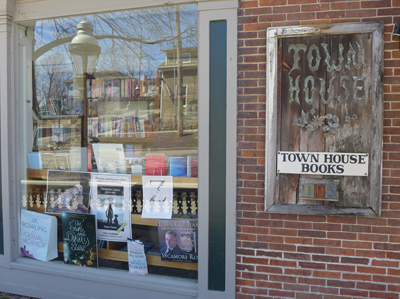 Her books are located in the Women’s section at Town House Books. 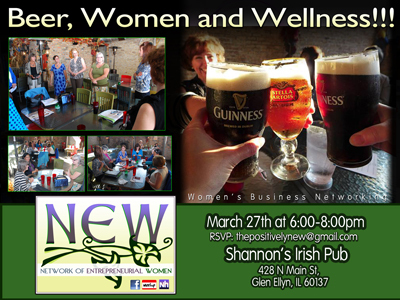 On Thursday we raise pints to St. Patrick and our latest accomplishments at Shannon’s Irish Pub in Glen Ellyn. Join us from 6 to 8 at 428 N Main St, Glen Ellyn and enjoy some speed networking.